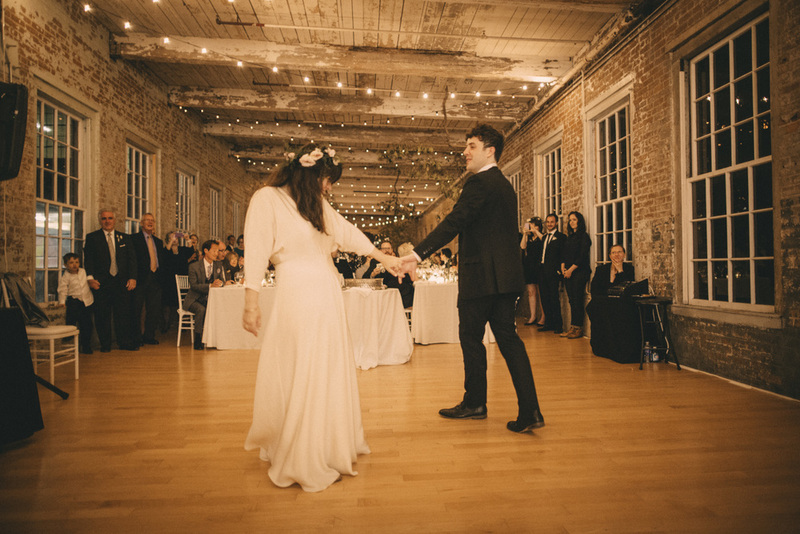 The Williamsburg Seamster is available to assist LOS ANGELES AREA BRIDES with general tailoring & fitting, customized alterations and design CHANGES, custom wedding accessories, and fully custom-dESIGNED wedding dresses. TWS NOW ALSO OFFERS FULL-Service bridal styling offerings. For the bride who wants assistance navigating the whole world of wedding dresses, full-service bridal styling can provide comfort in every step from selecting dresses, coordinating accessories, and getting dressed on the day of, leaving you with more time and energy to focus on getting married. TWS has extensive experience in the general tailoring of wedding dresses needed by most brides, including the fitting of straps, sleeves, bodices, skirts, hemming, and bustles, working with a broad range of materials and factors like delicate silks, French lace, heavy satins, beading, boning, horsehair braid, and more. For brides looking to redesign and customize an existing dress with alterations or custom accessories and details, or to update a vintage or heirloom dress, consider our Redesign & Alterations Services. We can create the perfectly coordinated bridal sash, belt, veil, cape, or bow of your dreams, fitting your theme, dress, venue, and body. If you are unable to find one off the rack, consider working with The Williamsburg Seamster to design and create the wedding dress or outfit of your dreams. 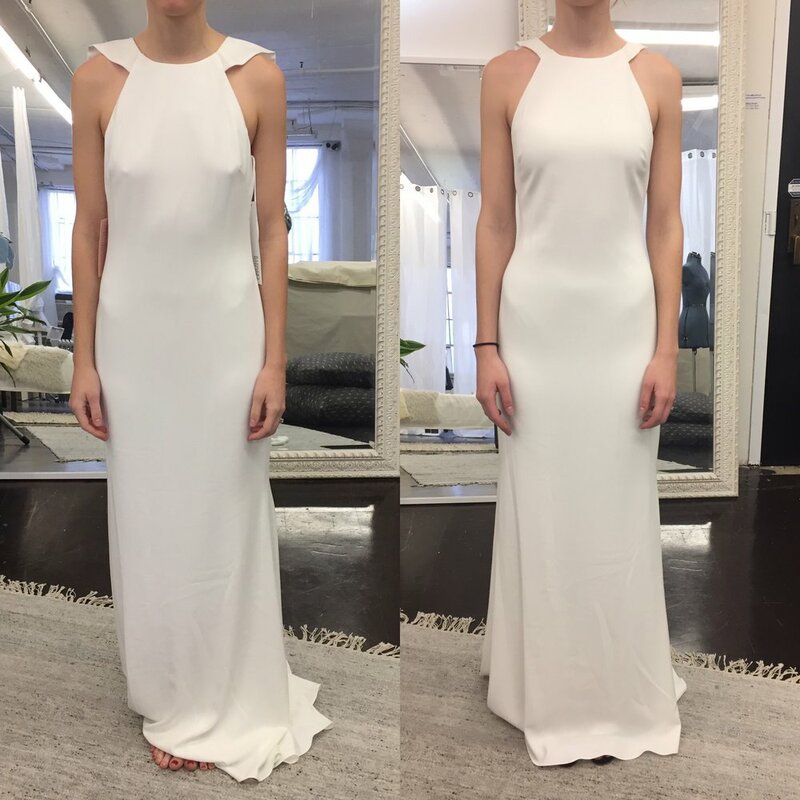 Fitting, hemming, and general tailoring on existing wedding dresses. We have extensive experience in tailoring & altering dresses from all of the leading bridal salons. We are comfortable working with the finest silks and laces, delicate vintage materials, modern silhouettes, beaded fabrics, voluminous skirts, english netting, sequins, and more. For made to measure and off the rack wedding dresses, use our Fitting & Tailoring Services described below to ensure a perfect fit and perfect length. If your dress needs alterations, like changes to the neckline, addition of sleeves or customized design details or matching custom garments, in addition to general fitting, take advantage of our Redesign & Alterations Services. You can read more about these options below, and if you're looking for further assistance, including guidance in wedding dress selection, undergarment and accessory sourcing, and styling and design advice, check out our Full-Service Bridal Styling offerings here. To the right are a few examples showcasing the kinds of fitting and tailoring work we have done for our brides. These dresses required standard fitting and hemming, involving common details on wedding dresses like lace, beadwork, sequins, and boning. Fitting the dresses here involved bringing in sides/bust/waist/hips, adjustments to straps/shoulders, addition of cups for support, and hemming. No design details were significantly altered. With extensive experience in garment construction and a decade spent fitting well over 1,000 wedding dresses, TWS is here to make your dream dress have a dream fit! To see more before & after photos, see our portfolio here. Should your wedding dress require more than the basic fitting and hemming, consider our Redesign & Alterations services. Custom accessories made to meet each bride's needs. We can help you create a perfectly coordinated bridal sash, belt, veil, cape, or bow of your dreams, fitting not just your theme, but also your budget. For more information about custom accessories, inquire here.